A HEAVYWEIGHT technology partnership between Murray Engineering, part of the major Byrnecut mining services group, and leading Canadian-based heavy-machine control and automation specialist Hard-Line, has been formally launched, with Murray now providing comprehensive support for Hard-Line products in Australasia, Africa and the Middle East. Established by former underground mine heavy equipment mechanic, Walter Siggelkow in 1996, Hard-Line has worked with some of the world's top mining companies to deliver safe, reliable equipment control solutions. 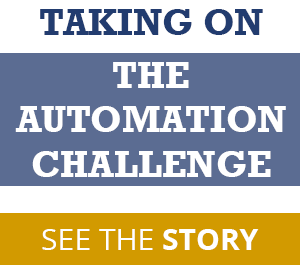 Today the company has more than 130 employees working mainly across the Americas to support Siggelkow's "boots on the ground" approach to developing and supplying advanced control technology. "That is partly why we have partnered with Murray Engineering," says the founder. "We prefer to have that direct, local presence and Murray certainly provides that for us now in territories where we have not had it before." Murray Engineering has a nationwide presence in Australia and recently established an offshore base in Mongolia. Through its connection with Byrnecut, it has provided services in Africa and Europe. 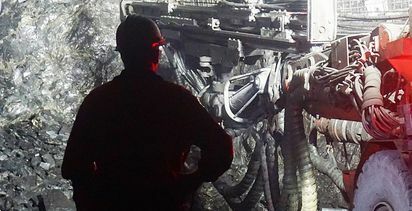 As a leading underground mining contractor in the large Australian hard-rock market, and also in sub-Saharan Africa and other parts of the world, Byrnecut has been at the forefront of applying modern remote control and teleremote control systems as it continues to set new standards in mine safety and productivity. Murray Engineering managing director Craig Lindsay-Rae says the development and application of technology is a laudable milestone achieved by many companies. But few sustain their leadership through good support. 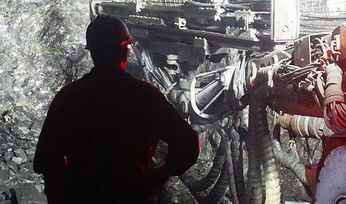 "With automation being applied to our systems across many continents and the successful operations of the mines being dependent on this technology, the support from the technology developer is paramount," Lindsay-Rae says. "Our technology partner clearly differentiates in this area, providing at-the-face engineering. "It is refreshing to work with a partner who recognises that the application of technology is not homogenous and has adapted programs according to different geographical locations." Hard-Line has sustained a strong focus on hardware and software R&D to build its technology advantage. It has completed automation, tele-operation and radio remote control projects involving drills, trucks, rock breakers, LHDs, dozers, trains and a range of utility and specialised machines. "Hard-Line's flexibility has always been a differentiator," says Siggelkow. "We are the manufacturer of the technology; we do all the design, software development and R&D. 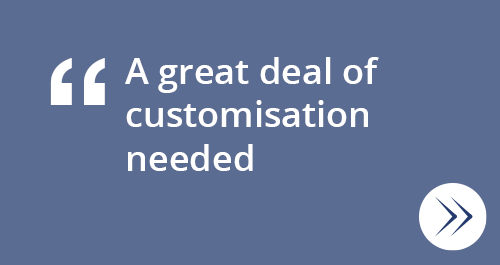 It gives us the ability to customise the technology to suit our customer's specific needs, and production goals. We train their people to optimise the use of the technology, to increase throughput, safely and efficiently, and increase asset utilisation. "We have always sought to work as a technology partner with other businesses, to provide them with a reliable product but also participate in the transfer of maintenance, troubleshooting, etc knowledge to their personnel. "Continuous improvement of the technology has come from face-to-face meetings with end-users to ensure we are able to achieve their results and goals. "We certainly understand the importance of the people working around these machines in mining. "Our employees have family in the mining industry. We want to keep them safe in all types of industrial operations, not just mining." Murray Engineering automation and control manager, George Priest says Hard-Line's products are robust, easy to use, and original-equipment agnostic. Hard-Line's latest Teleop Auto system delivers 2D and 3D views, with "real-time" operator control achievable when the system is coupled to fibre or standard Wi-Fi communication networks. Priest says with such networks in place, the Hard-Line system provides autonomous, semi-autonomous and remote operating capabilities. "It is a non-brand specific, non-machine specific system that delivers maximum operating transparency, and no programmatic restrictions for us as the product support group," Priest says. "Many systems are programmable and restricted; components cannot be different brands. Hard-Line provides a distinct advantage there." A state-of-the-art 3D viewing station and optics [link to Hard-Line video] deliver high resolution data and mapping images, with "3D localisation under all operating conditions", says Priest. This is optimised with the aid of Hard-Line's 3D scanning technology. Siggelkow says low latency continues to be a problem in underground mine machine control, particularly where the video element is added for tele-operation, and/or semi-autonomous or autonomous operation is in play. "Imagine driving a car and turning the wheel, but the car doesn't move until one or two seconds after the action was taken," he says. "With our system having almost no operating latency, your eyes don't even notice the delay. With close-to-real-time video feeds and feedback, operations and users can implement short-interval control measures to address issues during the shift, rather than at the end of shift." Murray Engineering's Lindsay-Rae says the company's partner selection process involved thorough due diligence. Hard-Line's investment in cutting-edge 3D technology as the basis of system control, plus its investment in in-house manufacturing of printed circuit boards, were key elements that made it a standout. Siggelkow says Hard-Line has worked with partners, such as Murray Engineering, to ensure its products meet all local regulations and standards. "We are excited about this partnership," he says. "The company and its internal R&D team have been collaborating with a range of parties on the next generation of advanced control systems for mining. "We will continue to work with the industry and our partners to ensure a safe and productive work environment."